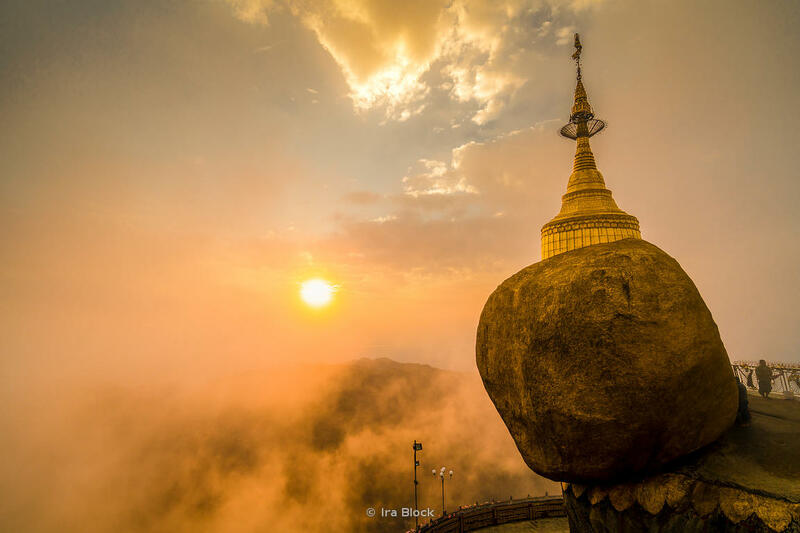 Ira Block Photography | Kyaiktiyo Pagoda, or Golden Rock in Mon State in Myanmar. This small boulder covered with gold leaf is a well known Buddhist pilgrimage site. Kyaiktiyo Pagoda, or Golden Rock in Mon State in Myanmar. This small boulder covered with gold leaf is a well known Buddhist pilgrimage site.